"We always put ourselves under pressure," Craig Green confesses before his wide smile spreads across his Bethnal Green studio. As we're sat in a hushed corner, the light filled space is alive with activity, during the supposed festive break, in preparation for his third and final MAN performance. His name glows from the London Collections: Men schedule. In a whirlwind of promise, he has emerged as the crowned prince of the adventurous silhouette, transforming beautiful boys with wearable masterpieces and abstract theatre. The weight of expectation would weigh heavy on the shoulders of most design talents but Green, backed and spurred on by his closely knit team, shrugs the pressures of others off from his broad shoulders whilst floating ever higher powered by the pressure he places on himself. "We try to change it up and push it each season, we don't want to stick to what we've done previously. We don't want to be just one thing. I think there's a fear in fashion to move away from what you're known for but it's good to feel uncomfortable and scared at times. As with most seasons, I'm scared about autumn/winter 14 but it's exciting," Green adds, eyes wide, full of focus and enthusiasm. This fearlessness combined with his undeniable talent and hunger has propelled Craig Green forward and deservedly won him the hearts of the press and pockets of the world's finest buyers but it can be divisive. The pitchfork wielding tabloids were furious with an incensed Daily Mail dedicating a number of pages to their angst fuelled, confused rants whilst a perfume peddling waxwork mocked the designs live on Alan Carr. "I even received hate mail, directly to me, after the first MAN show. I was so depressed that I began to questions what I was doing. A week later people made me see that it's good to split opinion at times," he adds wisely. It is. Having bounced our way across the full spring/summer 14 spectrum, it could easily be described as a season of nice. Banality can be contagious but Green is one of the few designers offering something new, something exciting "For me, it's important for a show to be a show. It's really rare now that I look through catwalk photos and dream of being there. There are very few experiences like John Galliano's couture. 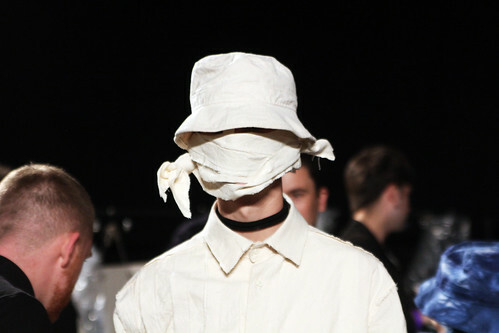 any and every Comme show or the recent Rick Owens show. 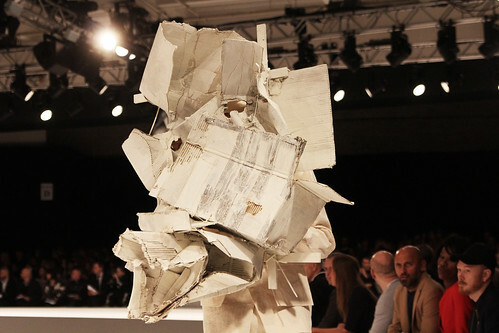 Gareth Pugh was the first ever show that I went to. 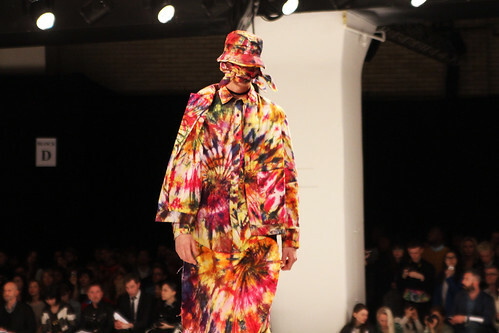 I rushed from Central Saint Martins to make it and we were the last to get in, it was amazing, my heart was pounding. Shows should make you feel something special and that's what we strive for." 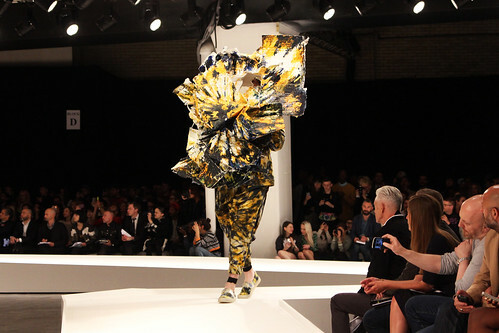 His tribe of faceless, psychedelic sculptures emphatically established Green as one of the capital's brightest stars but pushing continuously, excitement has closely circled Green from the moment his three dimensional, Russian folk robot inspired fantasies floated down the Central Saint Martins BA show catwalk. 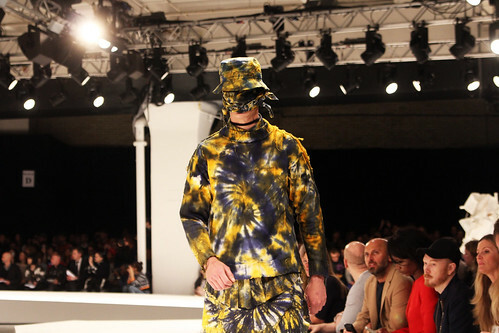 A collection that bubbled with creativity and craft, seeing him awarded a full MA scholarship. 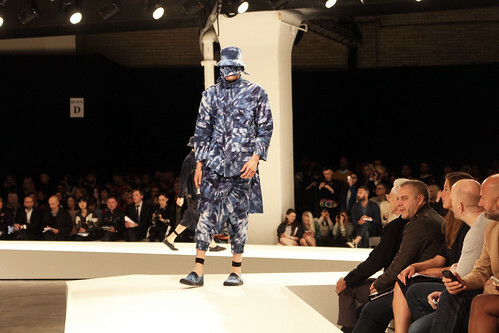 Weeks after presenting his award winning final MA collection, he confirmed his promise at the inaugural London Collections: Men. 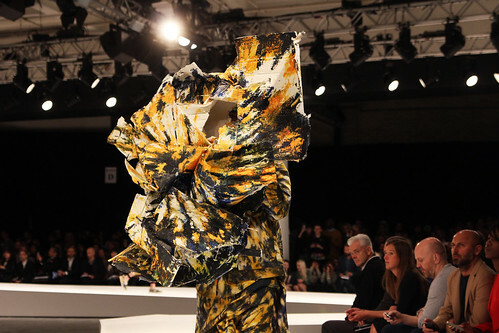 Offering another glimpse into his world of well crafted whimsy, the emerging talent, with his tonal crinkle washed calico, mohair and muslin cheesecloth creations, was the standout highlight at Fashion East's Installations. "I'm drawn to making something out of nothing, or very little. You get the cheapest materials and use your skill to make it expensive." For Green, the real craft is in the textile transformation, in fabric alchemy, elevated do-it-yourself. "That first collection was made out of calico that we washed, tumble dried and put in a salt solution that softened it, before hand painting the edges. It was a cheap collection but that's an important idea not to lose sight off. 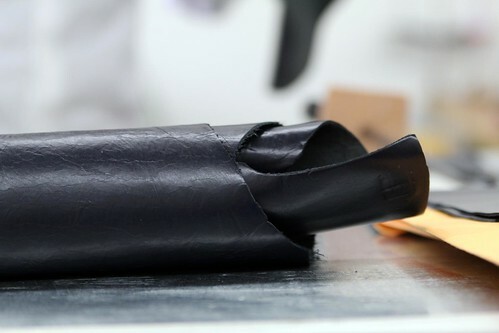 Rather than buy silk and make something expensive, we're interested in using more attainable materials that can be improved, it's more of a challenge. The cost of producing in London already rises prices so we save where we can." Green thrives on challenges and constantly introduces them to his work, both out of need and his desire to push it that bit more. "We do textiles in-house. All of the tie dye of spring/summer 14 was worked on here. 450 metres were dyed twice in metre by metre pieces. Twisted, poured, washed, left to dry for three days and then repeated. It was a nightmare process but this season, we're also working on a nightmare process - we love it really. 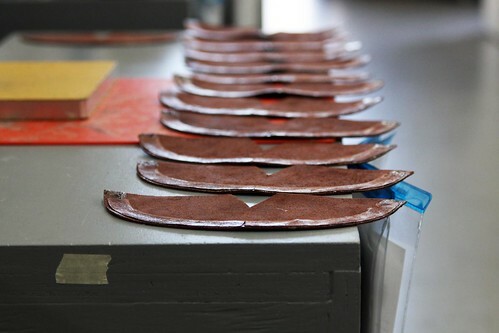 Everything is hand painted, there's no digital or screen printing and they are heavily worked. We're back to handmade textiles and techniques but it's a different feeling."" Creating and solving problems each fabric, silhouette and pattern at a time, Craig Green dances, delves and delights in duality. Opposites attract in his studio. His closely knit team of fantastical friends and crafty collaborators, don't just blur lines or introduce opposing forces but rather, majestically manifest creative collisions. Each garment is the playfight of light and dark, traditional and modern, familiar and fresh, reality and fantasy. 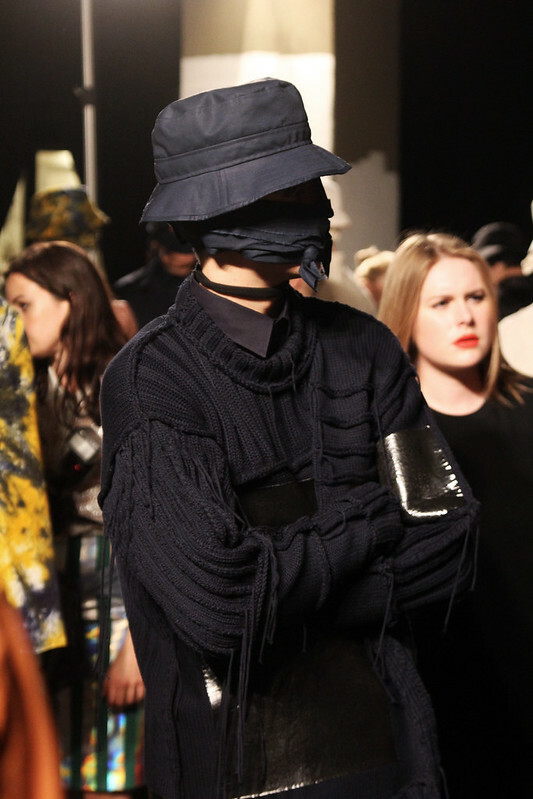 "The first collection played with seriousness, the spring/summer 14 was poppy and played with darkness and euphoria. We design by thinking about what we'd be excited to see in a show at that moment. 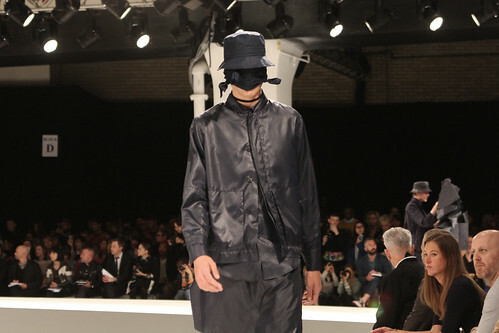 This collection clashes utilitarian and ornateness. function and unfunctional, traditional and new. It's grounded in tradition because we were conscious of it not being seen as too faddy because there's a lot of that around. The challenge is always to do something that is not expected." "Each season starts with the feeling that we'd like to portray, that always sounds a bit poncey but it's true. 'What do we want to see now after everything that's been?' That's always the driving force. We never stop talking, driving each other mad. I'm on the phone to Helen at midnight discussing every minute detail, discussion leads everywhere, from the studio to the pub, it's an ongoing process. This season has shifted and changed. Things get made, are scrapped and we start again. It's one of the most last minute collections but for the better. I never say my, it's always us and we. Perhaps I need the comfort of others but we do work so closely together. We're friends that like to make things. Different moments have brought us together, from old boyfriends to house parties to studying together. We all get on. They love doing what they do, they're not doing it for anything but the love, they are all crafty people and that's who I'm attracted to. It causes problems in it's own way because we push each other and can make things more difficult for ourselves but it's good. We just have a laugh," he adds before giving into a quiet giggle. Over the course of our hour long chat, Green didn't deviate from 'we' or 'us.' There might be one 'i' in Craig Green but the design talent is not one to downplay the role of and interplay between, the team of creatives that nestle under his umbrella. 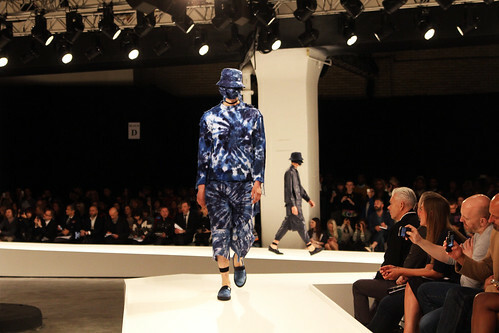 Now, Craig Green could happily and skilfully turn his hand to any creative medium, so why, for now atleast, ground himself in London menswear? "It is one of the very few places that is open to suggestion and not scared of change.” Growing up in a quiet enclave of suburbia in North West London. surrounded by a loving family of craftsmen, Green's daydreams were filled with aspirations of being a sculptor or painter. "I initially went to Central Saint Martins because I wanted to be a portrait painter but whilst on the foundation course, I met friends who were studying fashion." 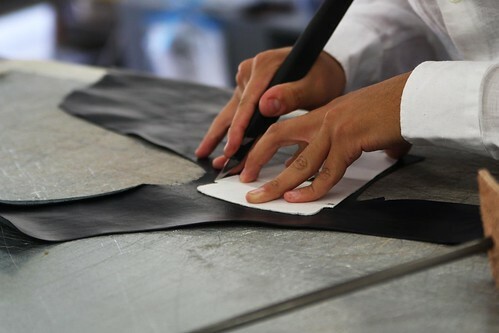 Thankfully for us, the impressionable young talent followed suit and fell into fashion, textiles are now his canvas as he shapes a new modern menswear menswear between his hands. Beyond the fabulous fanfare of his MAN shows and as the applause fades, a Craig Green collection continues to captivate with delicious details long after the curtain falls. 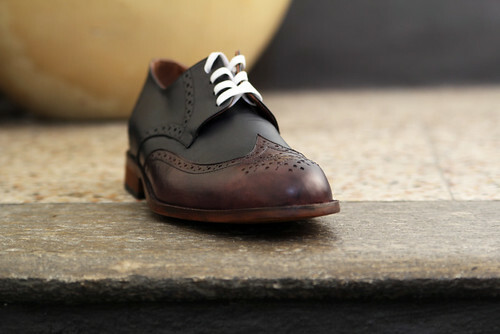 'The beauty is in the details,' is an oft used phrase in menswear but when Green is concerned, beauty is omnipresent. With sweaters that artfully unravel, garments tie-dyed with a richness that forever teases the eye, a subtlety that envelops any considered viewer and a knowing of touch that excites the heart of all craft enthusiasts. 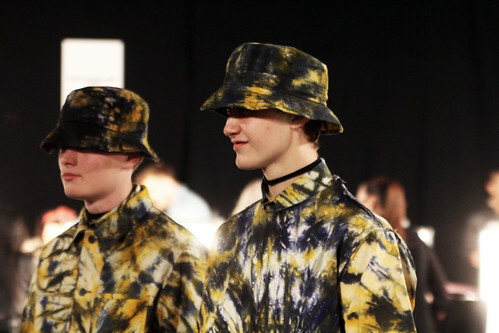 Craig Green spring/summer 14, my snapshots from the front row at MAN. 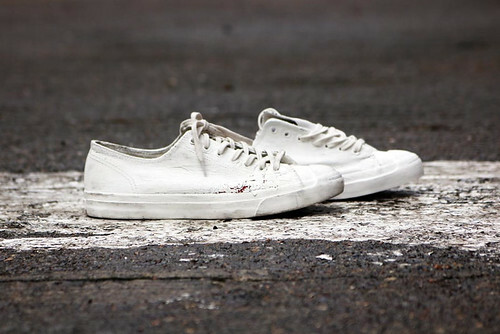 "Spring/Summer 14 was the first season that we've really sold. Previously, we used to work on small scale production after the show, a rush of month from start to finish but this season, production has been in tandem with the design of the new collection. A bit of a strain but it's exciting to grow. We jumped from three to twelve stores this season. We're now in Dover Street Market New York and Tokyo, Other-Shop, 10 Corso Como in Milan and IT in Hong Kong to name just a few." Whisked into a whirlwind, the last eighteen months must have whizzed by Craig Green's eyes in one marvellous blur of surprise and success but as we wave goodbye to 2013 and with the industry at his feet, I ask what the plan is for 2014 and beyond. "Every couple of months something good seems to happen. I started out just at the beginning of London Collections: Men and I've been lucky because I get to sell at the time of everyone else and there's a real platform and network of support through Fashion East and CFE. It's exciting to be a part of it. I'd love for it to grow to a point in which I can pay people properly, rely less on favours and to move out of my mum's house. That would all be lovely but I love it all. I get to work with my friends doing what I love and we have a great time. In that we're lucky," he adds with another grin. Enveloped by the craft and smiles of Craig Green, we are all lucky. "For anyone that knows me, you're probably surprised to find me invited to contribute any thoughts about fashion. For anyone that doesn't know me I should explain – I wear the same jeans and grey T-shirt or white shirt most of the year (even when not at work). This isn't because I'm not interested in fashion but because I sit slightly outside the average percentile that most clothes are manufactured for. I'm 6'4 and 'heavy' (this isn't the place to reveal certain information) and find it difficult to find clothes I feel comfortable in, let alone I'd leave the house in. "Having both the main line in Opening Ceremony as well as the capsule collection is great," Lou Dalton beams proudly over the Internet. "Both are very different, each say something different without compromise," she excitedly exclaims. Joining forces with the rousing retailer, the design talent takes our hands again, leads us across the border once more and we fall for the charms of her imagined rig of Zetland Oil all over again. Through Opening Ceremony's youthful filter, her autumn/winter 13 collection's sartorial sharpness softens and becomes that bit more sportier. As with her own collection, the collection's personal narrative falls seductively from the lips of the designer but here it feels like a fresh tale. 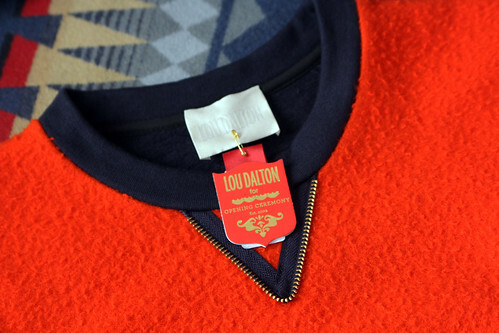 Having first been approached by Opening Ceremony for a series of London based designer capsules around the 2012 Olympics celebrating the store's arrival in the capital, Dalton chose to explore cycling and intricately incorporated house signatures into the sport whilst making a point of it feeling a little more commercial and easy-to-wear. Unsurprisingly, the collection went down a storm and with this in mind she approached Opening Ceremony earlier this year to do something similar and this latest collection evolved from these speculative conversations. 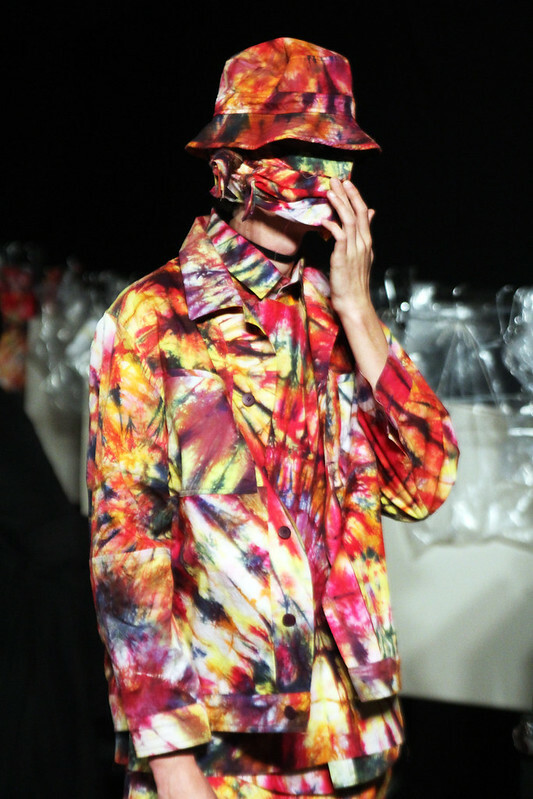 "I enjoyed creating a fictional Oil Company called "Zetland Oil" for autumn/winter 13. 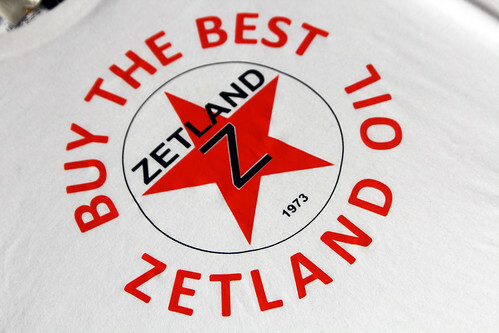 'Zetland' is an old Nordic term for Shetland. Shetland is such an inspiration to me. As you know I met the Haigh there (Justin Haigh, Lou's fella of 10 years) who just so happens to work for an oil company that has an oil port in Shetland. The other logos used within the designs are all inspired by oil company branding from in around the late 70s mid 80s but re-worked and all carrying reference to Lou Dalton, either the year I was born or Shetland itself. When I first discussed the ideas for the range with Opening Ceremony and the t-shirt prints in particular, we all agreed on the idea of making them take on a sporty mood. I looked at making them appear quite Motor Cross branded. For me, it was integral to incorporate the store's branding into the capsule as much as my own. As the collection was to be a little easier-to-wear and even more accessible than the Lou Dalton main line, I kept it easy and quite relaxed. However, I did want to give it a strong reference to the Lou Dalton main line and did so by introducing one of the fabrics we had used on the autumn/winter 13 mainline which was a particular favourite of mine, this being a cloth that I refer to as Bobble. 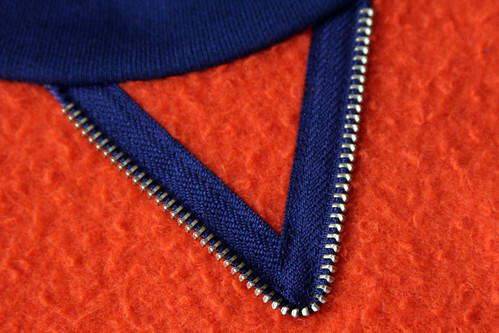 This cloth came in a whole ray of colours but for Opening Ceremony, we kept it to a tomato orange, bordeaux and black. Throughout, this collection felt very natural. I always believe that if it feels forced then you should just leave it and move on. Opening Ceremony are so great to work with, they understand and appreciate design and its end use without it becoming to banal." 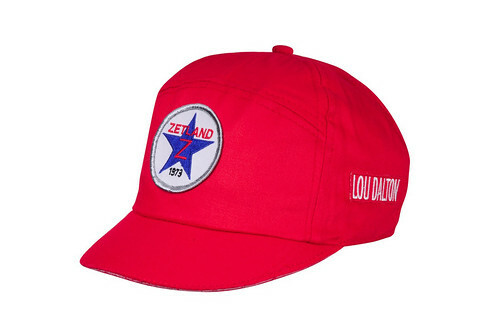 The capsule collection includes caps, t-shirts, jogging bottoms and sweatshirts. Opening Ceremony's ever evolving relationship with some of my favourite London design talent, mixing straight main line season buys and really considered capsule collections, the fruits of which manage to balance the aesthetics of everyone involved perfectly, shows the way for other stores to follow. Meanwhile, Lou Dalton is sketching a fine blueprint that other designers can look to for inspiration. Since launching her own line in 2005, Dalton has refined a well crafted reputation for rebellious English sportswear with a keen eye for and attention to detail whilst establishing herself as the real shining starlet of British Menswear. As London menswear has demanded an ever increasing presence at London Fashion Week and respect far beyond the perimeter of the capital, evolving from an afternoon in to three full days of shows, presentations, previews, installations and exhibitions under the umbrella of London Collections: Men, she has matured in the spotlight, built a brand and helped pave the way forward. Long may Lou Dalton continue to strive forward and here's hoping more follow. 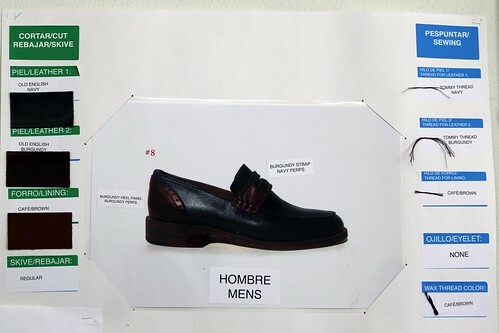 As our eyes prepared to focus on the spring/summer 14 catwalks of New York, Converse and Maison Martin Margiela treated us to teasers of their much publicised creative coming together. 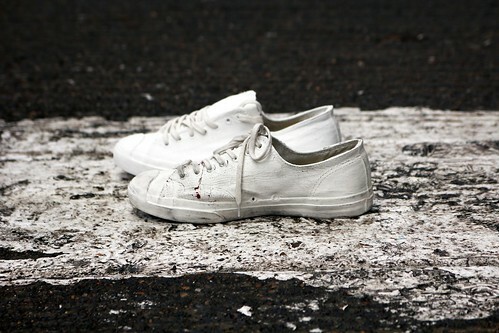 For their first confident stride forward, Converse Chuck Taylor All Star and Jack Purcell trainers were drenched in Maison Martin Margiela's iconic white paint. 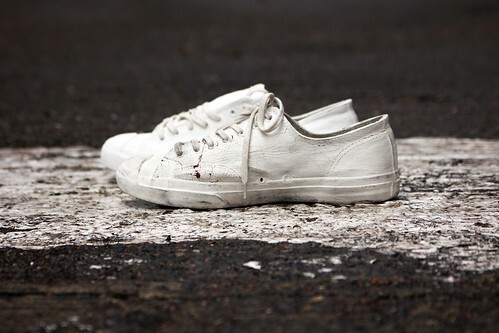 Covering all canvas, eyelets, laces and soles, the old favourites are altered simply yet radically. All white everything. A palette and sole cleanser. For me, the French writer and aviator Antoine de Saint-Exupéry best defined minimalist design as being “not when there is nothing more to add, but when there’s nothing left to take away.” This is a makeover from a true minimalist iconoclast. However, what interests me most is that the white washing is just the start. 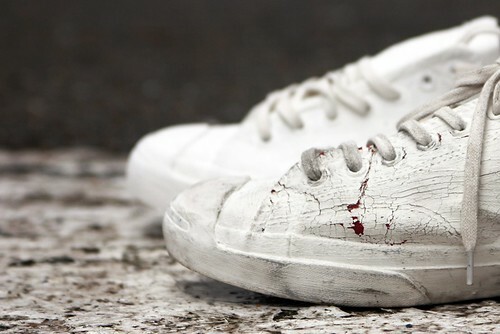 As soon as the paint filled brush leaves the Converse classics, they naturally crack and shed their outer coat to reveal their original selves beneath. 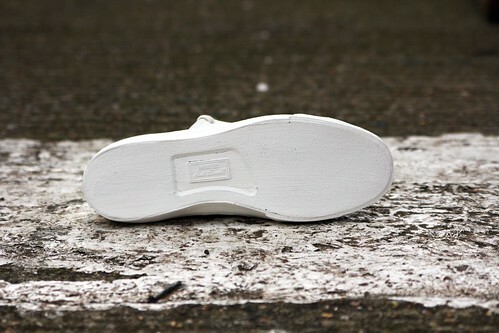 So simple and transformative, the hand painted act is the beginning of a unique dialogue between both brands. As they advance with age with each step forward and evolve in the everyday, they reveal their true selves in their own way. 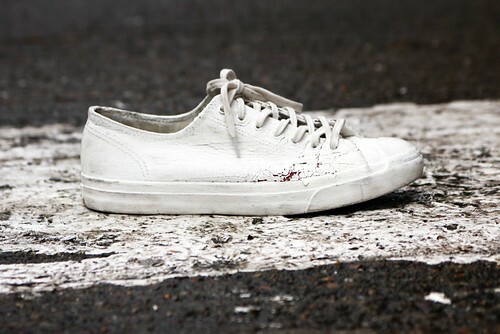 Wear and tear is rarely so intriguing and so obvious. 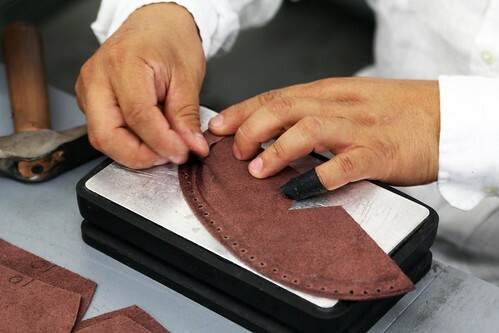 From well loved wallets to beautiful brogues, the gentle ageing of leather is a an ever absorbing process but it takes its time. 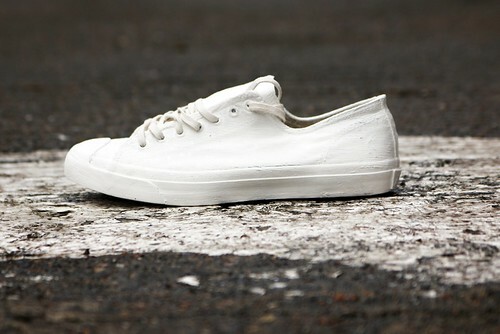 The blank Converse canvas encourages change. Thankfully, after following fashion's conveyor belt through from London to Milan and Paris, two pairs of ice white Jack Purcells were waiting for me at the office. A few weeks of pacy peddling, puddle plummeting and pavement pounding has seen a rich burgundy hue peek out from beneath the cracks on one pair (black, blue and an exclusive yellow are also hidden behind the white wash) whilst the other is still perfectly wrapped in its thick blanket of white. Minimal metamorphosis. Using a recent paint tin spill in the car park as the ideal backdrop, I couldn't resist documenting their difference. New new and old new. 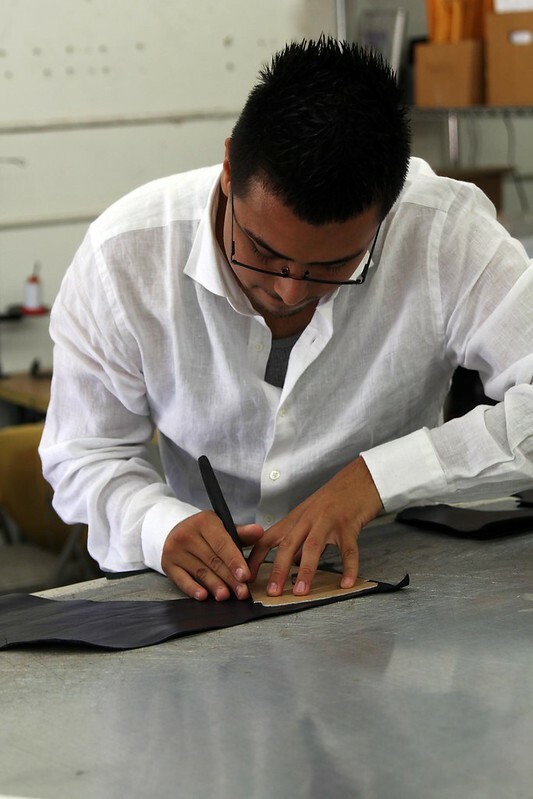 "We both like to inject a bit of attitude and our personality into classics," George Esquivel excitedly exclaims whilst standing at the centre of his hive of craftsmanship, a lively leather scented, three and half thousand square foot workshop in Orange County. His voice races as he whizzes us around on a whistle stop tour of his world. 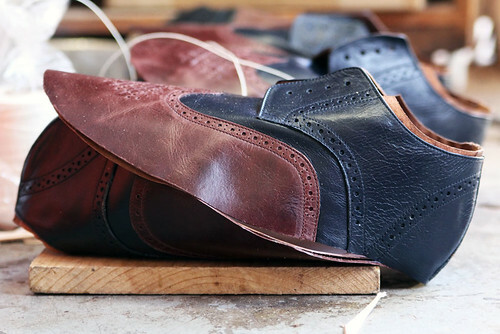 Between three and four thousand shoes a year are clicked, closed, welted, finished and furnished by his close knit family of craftsmen but there is a discernible delight echoing around the space today. Why? The reality of two American dreamers' shared fantasy is taking shape before their ever eager eyes. 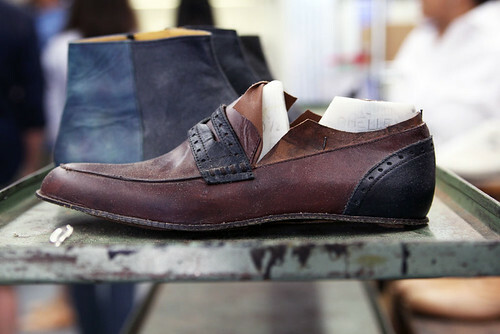 After creating exclusive shoes for Tommy Hilfiger's autumn/winter 13 menswear show, the pair have taken their collaboration to the next level. Forming a dynamic duo draped in red, white and blue, the result is a limited edition capsule collection of footwear hand made in California. "It all comes out of here," Esquivel proudly proclaims, arms and smile stretched wide. From the quiet, unassuming, commercial enclave that his workshop resides to the temples to high society in the centre of Los Angeles, this is very much George Esquivel's world. Having been warned that is was something of a Marmite metropolis, that I'd either love it or loathe it, Esquivel and team Tommy combined to be the skeleton key to a once in a lifetime exploration of the ever sprawling an wildly eclectic city. They combined to make it the perfect summer getaway and I left in love. Esquivel's first excited words of many as he welcomed this fortunate group of bloggers and journalists were a declaring that he'd be taking us bowling. "It's at the Rosevelt Hotel, it's a two-lane, it's a gaming parlour with a vintage bowling alley called the Spare Room, I actually made the shoes. Everyone is there. I received a text the other night that Brad Pitt and Angelina were bowling in my shoes, it was amazing. It's so much fun. It's what I call cool LA not crazy LA." Like any good guide, Esquivel combined local knowledge with a constant flow of captivating narrative. 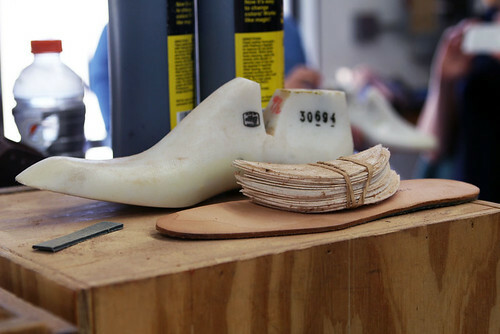 His path into shoemaking alone could easily translate to the silver screen and be a box office smash. "My childhood was pretty crazy. We grew up mostly in and out of motels, on welfare and food stamps. I’m the oldest of five so there were seven of us in the motel room and then my dad went to jail." 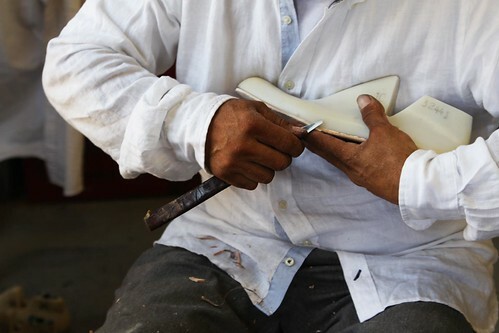 From running drugs in his youth to watching his father go to jail for murder and homelessness to a life backstage at punk gigs, Esquivel is not your typical shoemaker but it is fuelled by a familiar passion. 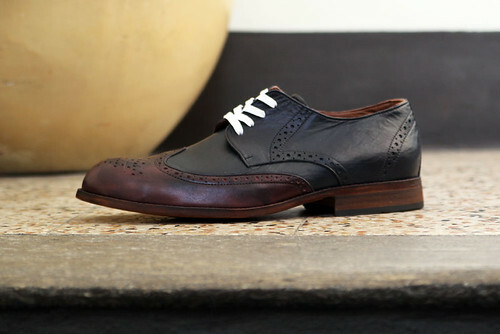 He fell into shoemaking in the mid 1990s after a failed attempt to find the perfect vintage-inspired shoe. 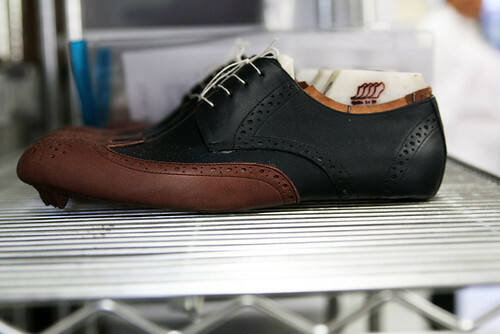 A muso, the designer was immersed in California's rich punk and rockabilly scenes and needed shoes to match his unique aesthetic. "I used to buy vintage clothes and shoes but I could never find anything I liked in terms of new footwear," he reminisces. He spent years scouring the state for an able shoemaker to realise his whims and fancies but to no avail. After arguing with one cobbler over a pair that didn't meet his insatiably high standards, he was about to throw in the polishing rag but his shoe salvation arrived in the form of a bystander who, intrigued by Esquivel's impassioned pleas, followed him out of the shop. 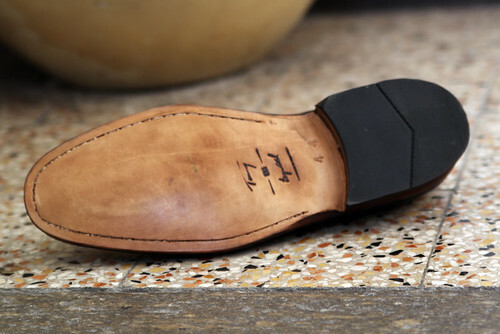 "He introduced himself as a shoemaker and said, 'I don't know why but I like you and I want to make you some shoes.'" 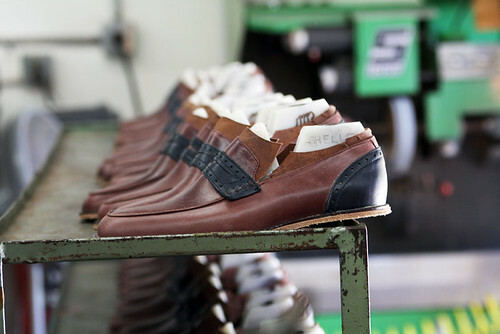 The man was Emigdio Canales, a retired master cobbler who operated a cottage industry shoe factory out of his garage. He quickly became Esquivel's collaborator and mentor. 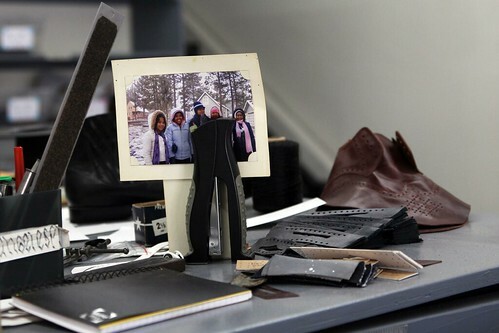 "In the beginning, it was just a hobby, selling shoes to friends," he modestly explains. These friends soon morphed into musical heroes. From admiring glances towards his own feet at gigs to requests from musical friends and ultimately to touring buddies, the good word of Esquivel spread. "The small local bands that I used to hang out would go on tour with the big bands, and they would often ask about their shoes and they'd hand them my card and say 'Call George, he'll sort you out.'" A business began to thrive. Esquivel has never stopped learning. 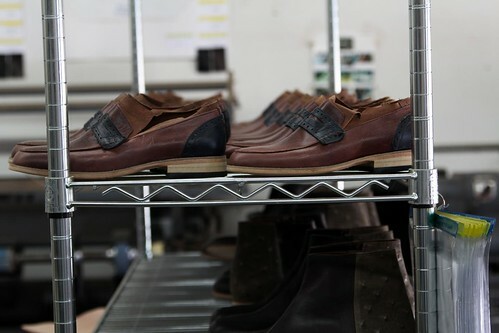 From scurrying around shoe repair shacks to crafting shoes for the elite of Los Angeles and beyond, the collaboration with Tommy Hilfiger marks another confident step forward. As Esquivel's tale bounces around your brain, take our hand and let us lead you, as he did to us, on a quick tour of his world as the fruits of his latest creative coming together began to take shape. Much like Tommy Hilfiger, George Esquivel is a great American dreamer. 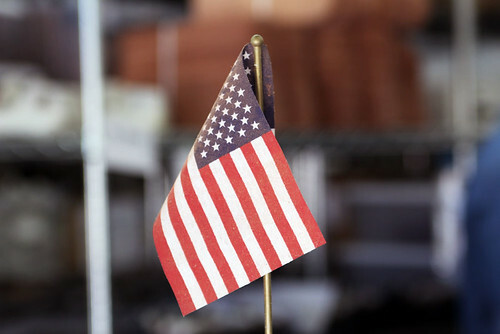 Stars and stripes pulsate through this authentic product of California. Artefacts of this technicolour world are scattered throughout his studio. Like two well crafted canoes, a pair of size fifteen dress shoes destined for the feet of a New Knick's baller float on the wood floor are joined by a battered and well weathered trunk belonging to Sylvester Stallone that the actor had hoped would be transformed into footwear fabulousness, whilst a mood board of leathers provoke daydreams for the sole of Janelle Monae grace the wall. "Tommy used to have my whole wall. but as it went in to production it shrank. 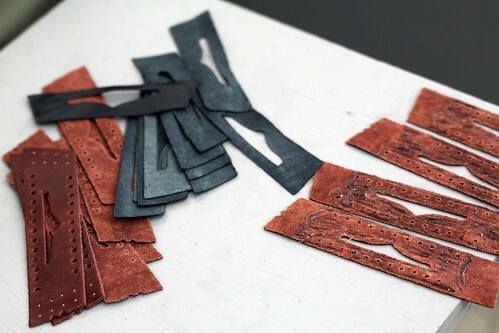 It started with ten styles, twelve colours and all manner of different leather options. There wasn't a brief. the styles just evolved out of our conversations. We looked at what Tommy does, he does preppy Americana and we explored what we liked and it reduced down to a brogue and a loafer. It was then about making preppy but adding the soul of rock and roll, a little bit rebellious. 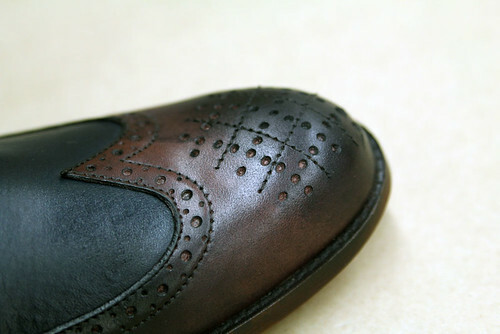 For example, the perforation on the toe is a really cool design process that mimics the signature plaid pattern of Tommy Hilfiger," adds Esquivel as an interested, ever analytical eye is focussed in on one his experts applying the described touch to the toe of a brogue. His love of the craft is both obvious and infectious. Having first roamed onto Hilfiger's radar as a Vogue/CFDA Fashion Fund finalist in 2009, Equivel was one of ten designers included in an "Americans in Paris" showcase sponsored by Vogue and Tommy Hilfiger 2011 and a friendship blossomed. They are two kindred spirits, each dedicated to their own craft within Americana. Whilst Tommy Hilfiger is a sartorial star bangled banner gently blowing outside the college of preppy, Esquivel's carefully crafted shoes are inherently Californian, rebellious and a little rock 'n roll. It makes for a happy marriage. 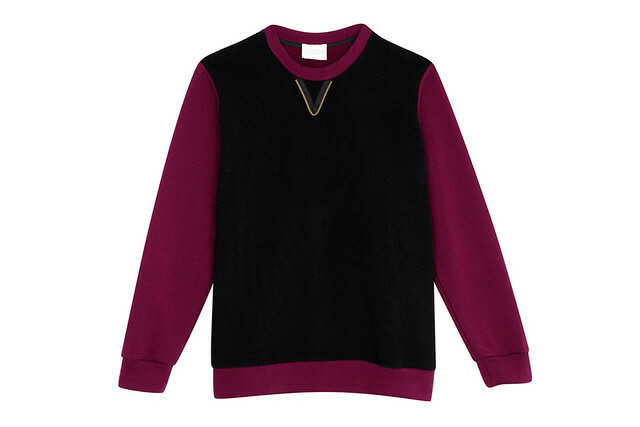 "He adds a fresh take to timeless pieces. 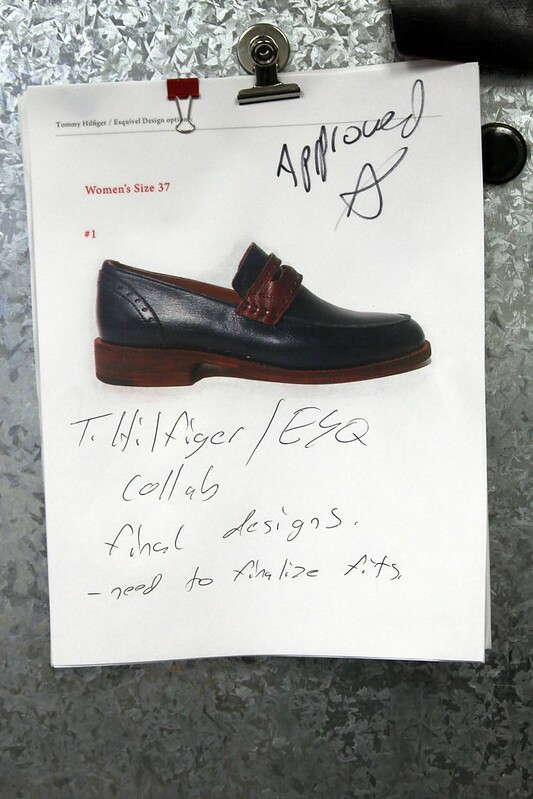 His designs use unique details that give classics an updated look," Hilfiger declares of Esquivel. "Tommy calls it the twist. We've both been transforming the familiar into the exciting in our way for years but it's been fun putting our heads together," adds Esquivel. 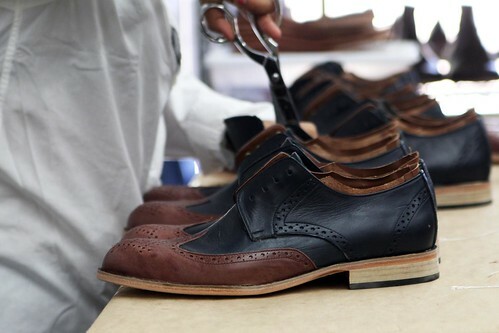 Every pair is hand-crafted by skilled workers, adding unique and distinctive elements to the styles whilst each is assigned a one-of-a-kind shoe number that’s hand-written on the shoe and its hangtag to make these objects of desire even more desirable. 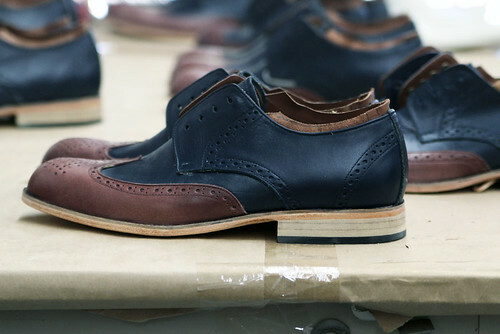 Ten weeks after our visit to the workshop and as their collaboration hits stores global wide, Tommy Hilfiger and George Esquivel sent through my own limited edition brogue. Delighting in the duality of new and old, expected and unexpected, traditional and modern, the two complimentary world's collide beautifully in a collaboration that sees two prepster staples re-imagined. 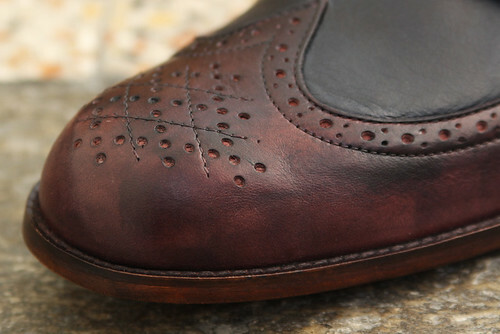 With antiqued washed leathers, hand punched perforations and contrasting hues, both the humble brogue and loafer are elevated to new heights. 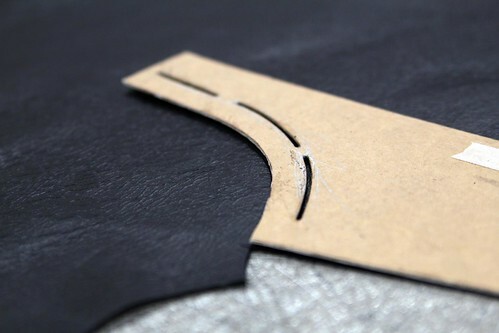 The Tommy Hilfiger + Esquivel logo has been burned into the leather using a hot branding iron. 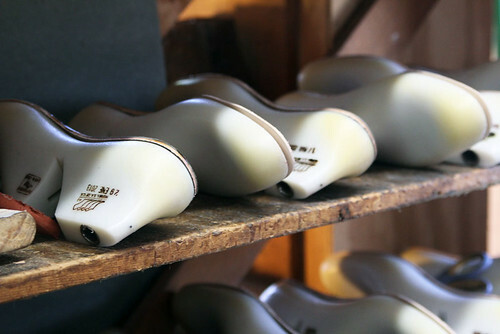 Soles and heels are polished individually using layers of polishes and creams. The results are unique but elegant, whimsical yet sophisticated.